Texting My Pancreas: Choices In Care. I'm interested to hear what other T1s do for their care - do you see an endocrinologist, or someone else for your diabetic care? It makes sense to do this. They are the doctors most likely to be up-to-speed on the technologies we have available to us. They should have plenty of experience to draw upon, and be able to keep an eye open for other auto-immune diseases. They are supposed to be the experts. Everyone has to decide what the right decision is for them, for their own particular situation, when it comes to who you see and how often. 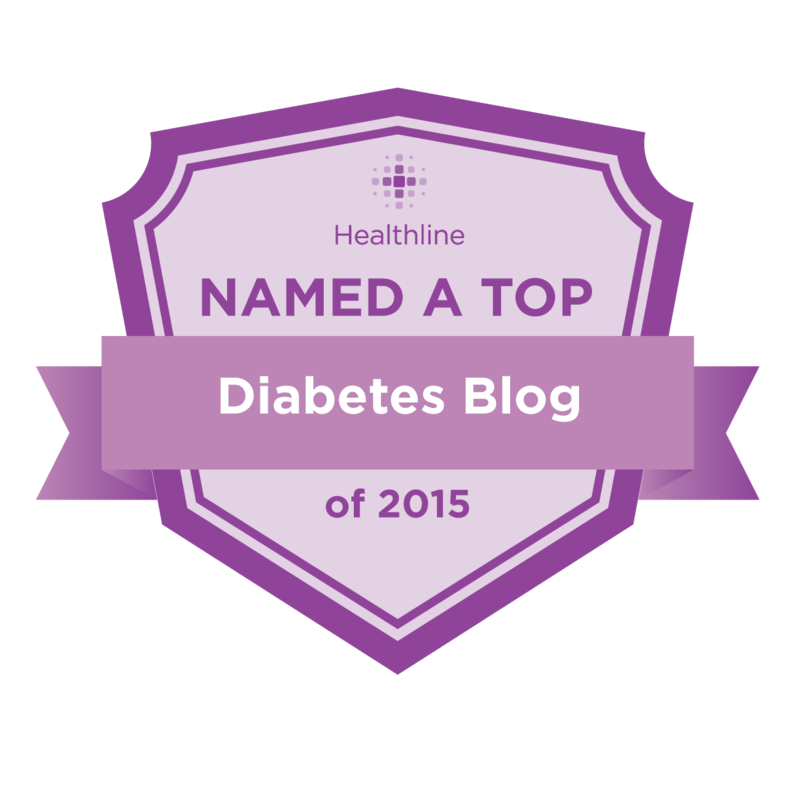 I've been through 6 (I think) endocrinologists in the 24 years I've been diabetic - and some were great. I am especially appreciative of the one who finally caught onto my hypothryoidism - he really saved my life, quite literally. My childhood endocrinologist was good, as well - I don't remember much about him, but I do remember him being a friendly, kind man. On the flipside of that, however, are a couple of endos who didn't quite cut it. They missed important red flags. They were derogatory and sometimes downright mean. I got to the point where getting to and leaving appointments with one doctor in particular caused me extreme anxiety and stress. (How does any of that, in any way, help my overall health?) I won't name names - their reputations are consistent and easy to locate. Anyone who lives around where I live will be able to find their names, if they so desire. The inability of either one to provide quality, considerate, and meaningful care was the catalyst for me to find another way. Doctor A failed to diagnose (or maybe even think to test for) my thryoid condition. In addition to Type 1 diabetes, I also have Hypothyroidism, which basically means my thyroid gland is underactive. It's an auto-immune disease, just as type 1 diabetes is. The two aren't technically related, but it seems to be that once you have one auto-immune disease, you're more prone to developing others. Anyway - I digress. The thyroid thing should have been an easy diagnosis - and yet A never caught it. I experienced a large shift in personality, became depressed, my hair thinned out, I'd get ridiculous muscle cramps, and I could never sleep enough. All of the classic symptoms. No bells rang, apparently. I also got reprimanded by A, though I will admit that my care (or lack of it) was asking for it. I can recall getting an A1C result of close to 13. That means my average blood sugar was almost 340. The only memory I have of this doctor is being asked the question "Are you trying to kill yourself? Because you're doing a pretty good job so far." While I can now appreciate what she meant by that, Former Kim didn't want to hear that. Doctor B was my the last endocrinologist I saw. B was very educated and proactive. B is the endo who finally got me on an insulin pump five years ago, even if B didn't let me choose which one I could get. I had been reading about the Minimed pump, and decided that was the one I wanted, but when I brought it up in my next appointment, B told me I had to get the Deltec Cozmo, because that's the pump they were familiar with. (But, won't I be the one who has to live with and operate it every day? And you'll only see it every 3 months? Oh, I guess that doesn't matter.) B also found the right combination of thyroid medication to get me feeling energetic again - so I am always thankful for that. However, B had horrible manners. Not the normal pleasantries - those were there - but the way B worded things. B also never really taught me anything. My insulin pump would get whisked away, reprogrammed, and handed back to me. I'd hand B my blood sugar results for the past two weeks (all hand-written, on the ridiculously annoying forms B had self-designed, because they were "easier" to read. My insulin pump had software that made everything downloadable and printable, but B didn't want to see any of that. ), B would make adjustments, write them all down, and send me on my way. No excess amount of time was ever spent on me. I'd wait for 45 minutes past my appointment time, only to get maybe 10 minutes of B's time. One of the last straws was when B told me I was "obese", and suggested I go on the South Beach diet. While that may have been true under the clinical definition of the word, there's no reason to use that particular word. You know what? I realize I weigh more than I should. I have a mirror, and I can see the sizes of clothes I buy. I don't need you telling me any of that; it's not helpful. Why couldn't I say that to his face? And why, if that was his opinion, couldn't he set me up with a nutritionist or CDE to set up a food plan, instead of just telling me to "go buy a South Beach diet book"? Okay, enough rambling. My point is that my other way, instead of seeing an endo, is seeing an internist and a P.A. The internist and P.A. are in the same office, and work with each other on my care. I see the internist once a year, and the P.A. every 6 - 8 weeks. And it's GREAT. Really, I've never been so happy to go to doctor appointments. Both of them have such great attitudes, and are willing to listen to me and what I know about my condition. They accept feedback and suggestions from me on my care. It is just absolutely a breath of fresh air, after years with B. An unintended consequence of not seeing an endo is that I am now more educated and up-to-date on diabetes care than I ever have been. 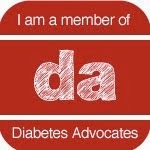 I have to be - while they do have other T1 patients, they don't specialize in diabetic care. As a child and even into my teens, my mom was the go-to person who shouldered much of the burden with doctor appointments and dosage decisions. (Mom, correct me if I'm wrong.) As a college student and for a bit beyond that, no one shouldered it. I simply lived as though injections and sporadic blood tests would do the job - which makes it no surprise that I saw that really high A1C I mentioned before. So, the past few years with this new medical team has been a brand new experience. There are even some cases where I'm more knowledgable on a particular topic than they are! For example, the Dexcom CGM I got was the first Dexcom that office had seen. I actually have gotten to teach a few people on my medical team about how it works and what it's capable of, which I think is kind of fun. When I wanted a new insulin pump, and explained the benefits to them of the particular one I wanted, they were more than willing to do the footwork to get me one. Switching to an internist was really the best decision, for me, that I could have made. It's forced me to take more responsibility for my own care, and I wish I could have jumped on that bandwagon long ago. I guess it just wasn't my time yet to do so. I'm on my 5th endo in 20 years. 4 were actually endocrinologists, the 5th (and current) one is a ARNP in an diabetes & endocrinology clinic. I've been with the clinic since I was 19, but my previous 2 endos left. My very first endo was a crude old man. I was 7 years old and he would pinch my belly fat (I was not fat) and say "I don't think that's from shots." Jerkface. My current endo started out very distant, like you mentioned, and would only spend a few minutes with me. After I worked in the clinic for a few months, she warmed up and now treats me like a colleague as opposed to another person on her to-do list. For all of us, it takes time to have that "moment" when we realize how important our d-care really is to us. I was almost done with college before I took responsibility for myself. Sorry for the long comment. I can relate to a lot on this post. Good topic! You attended a few week-long summer diabetes camps starting at age 14, which helped you to shoulder more of your daily care/dosage decisions. You were more in charge of your care after the first camp, and I continued to give you whatever monitoring you seemed to need, including scheduling doctors' appointments and referrals when you started college. I don't see a "Mom" category, so I'll be "Anonymous!" Bravo for doing what was best for you - THAT is the most important, right? I give you a lot of credit for having the courage to keep working at it until finding the right combination for you.